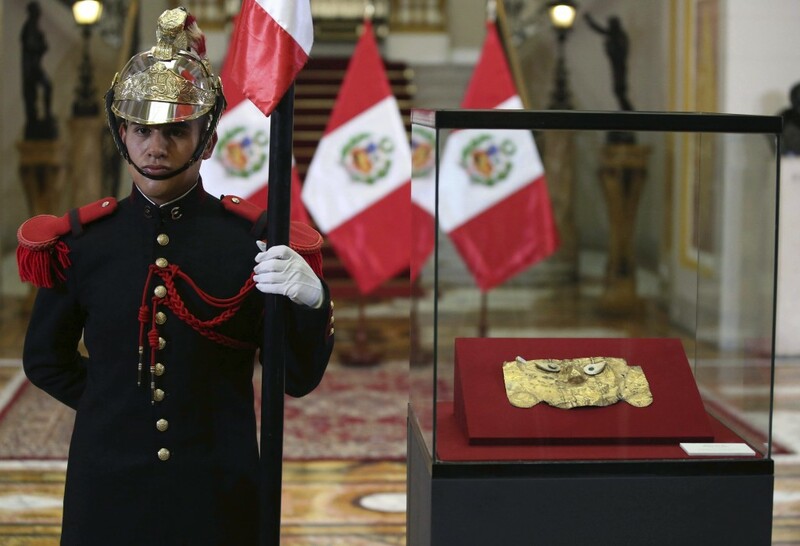 LIMA, Peru (AP) — Peru is celebrating the return of an ancient funeral mask made of gold following a two-decade legal battle to repatriate the smuggled antiquity from Germany. 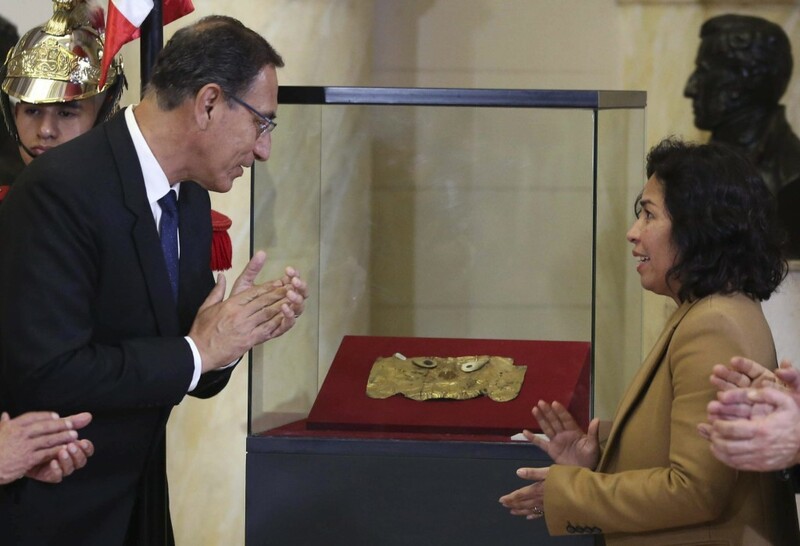 President Martin Vizcarra on Monday attended a ceremony at the presidential palace where the so-called Sican mask was shown publicly for the first time since its return to the South American nation. 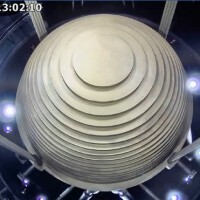 The 8th century mask depicting a pre-Incan deity was seized in 1999 in Germany from a Turkish art dealer arrested for selling looted objects. It was handed over last week to Peru's embassy in Berlin. 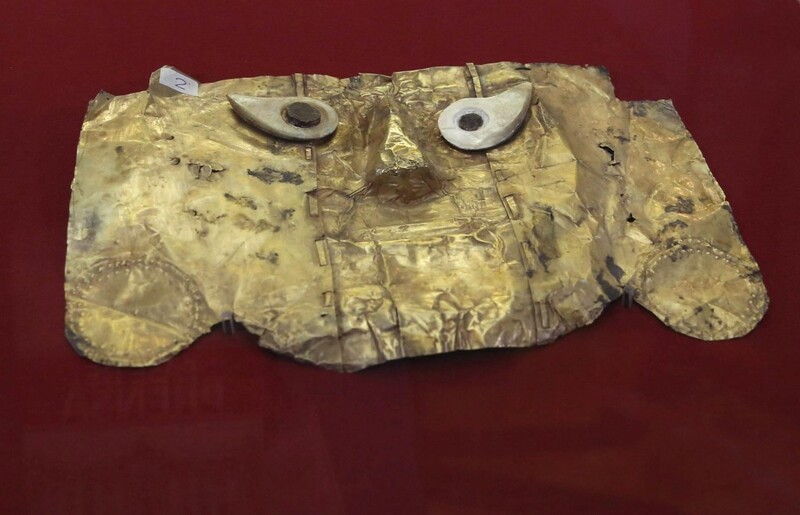 The mask made of hammered gold alloy with silver eyes is one of the most emblematic of 9,000 art objects Peru has repatriated the last decade. 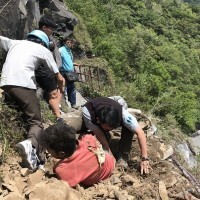 Authorities believe the mask was taken from Peru in the late 1990s.